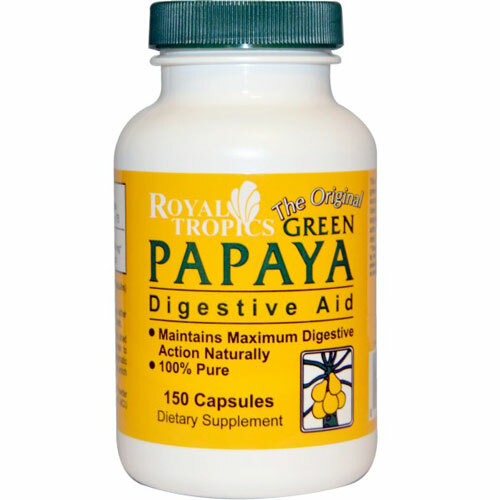 This powder is made from the mature green papaya which contains the highest sources of papain and chymopapain. Used as a dietary supplement, these enzymes create a very powerful digestive action especially helpful in high protein diets. This Green Papaya Powder is dried at a low temperature in order to retain the highest level of enzymatic activity, the most prevalent of which is papain. 2 capsules either before breakfast or dinner or both. 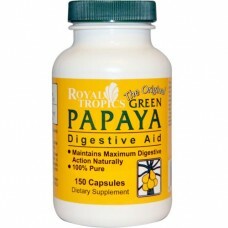 Green papaya powder, gelatin capsule. May contain silica. 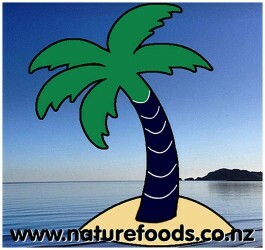 Papain: Our Green Papaya Powder contains between 280 to 480 MCU (Milk Clotting Units) per gram.